Promotions and swearing in ceremonies occurred at Huntington City Hall for three groups of Huntington Fire Department employees. 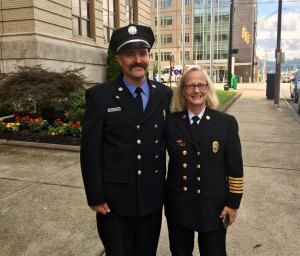 First ,Steven McCormick earned a promotion to lieutenant. Second, Dustin Bumgardner and Scott Ward completed their probationary period. 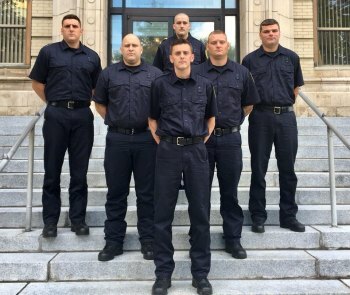 Third, Andrew Riley, Kolby Johnson, Brandon Samples, Anthony Sapp, Harley Slone and Travis Hoke are sworn in as new probationary firefighters. Would you like to experience a rewarding career in the professional fire service? The Fire Department is now accepting applications through Aug. 10. 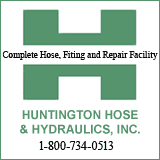 Learn more and apply online at http://www.cityofhuntington.com/…/cit…/fire-dept-recruitment.